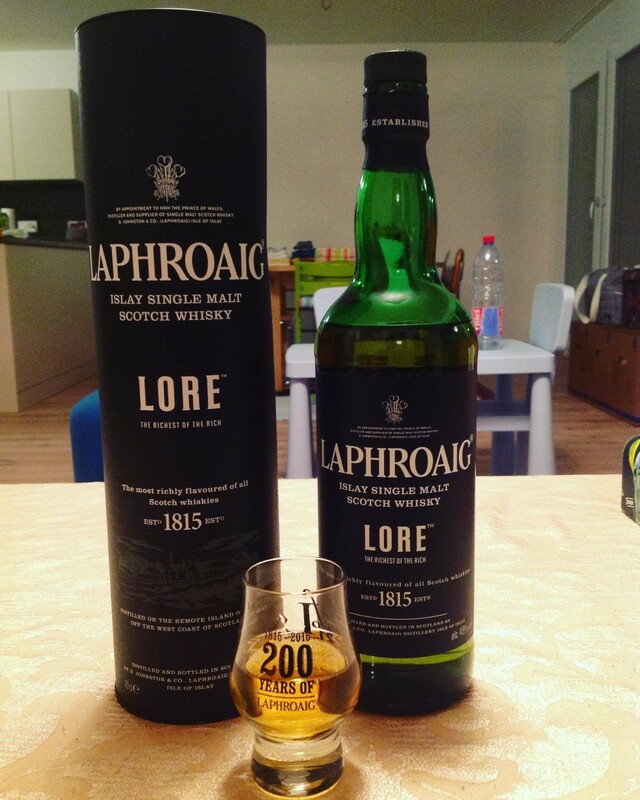 Laphroaig Lore was released in 2016. According to distillery manager John Campbell, this is a vatting of whiskies that are between 7 and 21 years old. A variety of casks is used in producing Lore, among them first-fill sherry butts, quarter casks, and ex-bourbon barrels. The nose starts with a load of brine, porridge and white pepper. Then smoke develops, of the "soft", campfire-like sort, and with hardly any phenolic notes. Later on there are vanilla and lemon flavours, followed by honey and a touch of orange peel. The palate is medium-bodied and brings more brine and campfire smoke flavours. There now is a salty note, together with notes of vanilla and cinnamon and followed by a hint of liquorice. The finish is sweet with flavours of liquorice and cinnamon, and the smoke has turned sooty, all ending on a slightly peppery note. This is a rounded and rather well balanced Laphroaig without any rough edges. Considering that Laphroaig claims that Lore is their "richest expression ever", the flavours seem somewhat subdued. I do not dislike it but miss the individuality of the distillate. Between 7 and 21 years? Hmmmm. Why don't they say? Forget the LORE. I want the DATA. @Pierre_W, thank you very much for your very informative review. 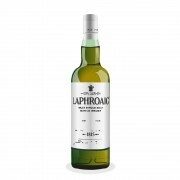 The consensus on Laphroaig Lore seems to be " good, but we don't like that it is relatively expensive and NAS". I surmise that you are more or less in agreement about those points. In what respect is "the individuality of the distillate" lacking in character in Laphroaig Lore? Are you saying that these are just less flavourful casks used than are used in most batches of Laphroaig? 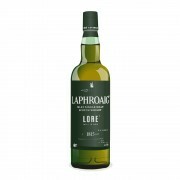 Given current market options would you ever prefer to buy a(nother) bottle of Laphroaig Lore over a bottle of Laphroaig 10 Cask Strength? @Victor $199.90 at the KGBO. That's pretty steep for this review. @Nozinan I think you could get 2 cask strength 10s (if you could find them) for less than that kind of money. Pity the 18 is history. For considerably less than the Lore price you could get a superb, age stated Laphroaig, 48% ABV, with a guaranteed minimum age of 18 years. The last 18 I bought in Oregon about 2 years ago was US $101. @BlueNote @paddockjudge made it possible for me to taste the 18...it was a special dram. @Nozinan KGBO? LOL ! I like it ! In Soviet Ontario, liquor drink you !! about one year ago 4Who liked this? @OdysseusUnbound Their motto: Putin your money and shut up! @BlueNote Quit Stalin! 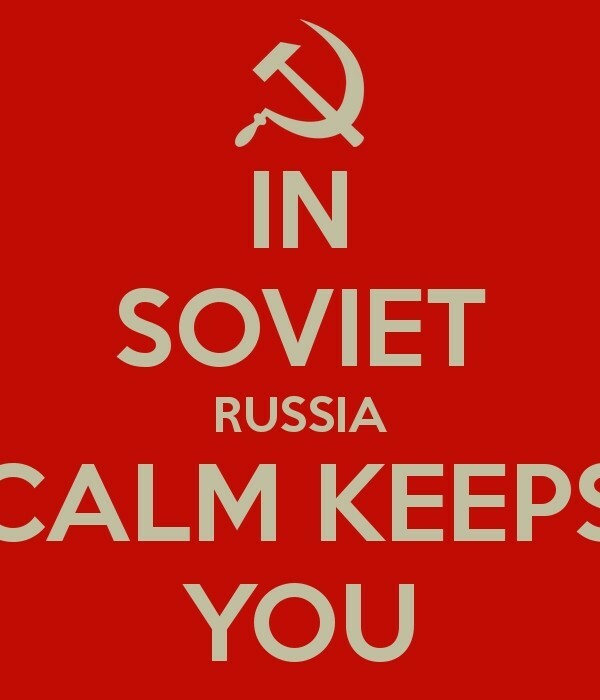 We'll Khrushchev your hopes until you Yeltsin for mercy. Good God! Have you Canadians been practicing these routines for years? @Victor I think Yakov Smirnoff is still a regular on the Canadian Casino circuit...The ladies love him; he can pick up anywhere Andropov just as quickly. @Victor, I agree with the general market assessment of Lore. And I would prefer a bottle of 10yo CS anytime. Also compared with the former 18yo Lore is quite dull and not very interesting, at least in my humble opinion. I bought one bottle and certainly won't get another one. Regarding your question on the 'individuality of the distillate', I put that in because to me Lore seemed a bit "wood-seasoned" rather than aged in barrels that went through proper cask management. A big statement to make perhaps. Hope this makes sense. Again, this is not bad whisky, just rather dull. Thanks for the review, this one seems quite overpriced to say the least..
@Nozinan I see what you did there! You want the make up of ages, but you also want that pesky evil android doppelgänger gone !